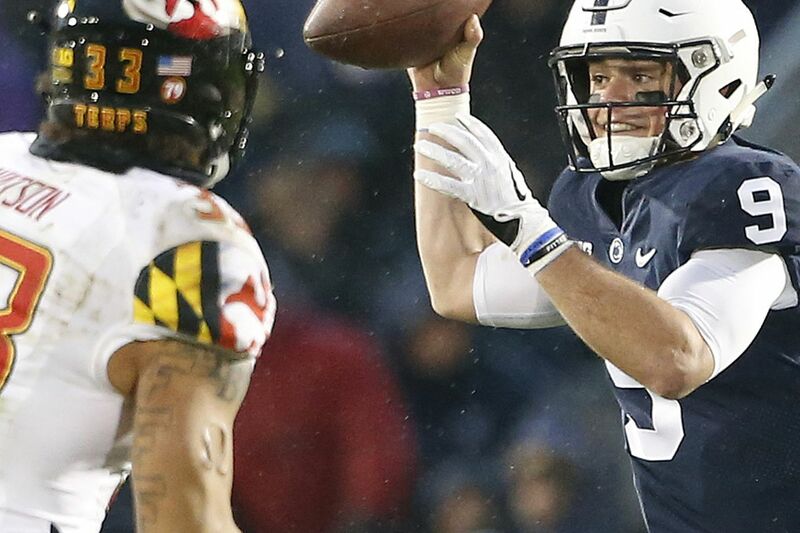 Trace McSorley will have one more game in a Nittany Lions uniform. Penn State coach James Franklin said Sunday he had “a pretty good idea” the Nittany Lions would fall short of a third consecutive appearance in a New Year’s Six bowl, but that the team was excited to be heading to the VRBO Citrus Bowl in Orlando to face Kentucky. The Nittany Lions (9-3, 6-3 Big Ten) finished 12th in the final College Football Playoff rankings but did not advance to a berth in the Peach or Fiesta Bowl after Big 12 champion Oklahoma reached the national semifinals. The Sugar Bowl is contractually obligated to pick the highest-ranked Big 12 team if the champion is in the playoff, and chose No. 15 Texas. “Obviously we’d love to play in the highest-rated game that we possibly can play in and finish as high as we can,” Franklin said in a conference call. “There was a lot of speculation out there and you had a pretty good idea that it was going to be challenging. This will be the Nittany Lions’ fifth straight bowl trip under Franklin. They are 2-2, including a 35-28 victory over Washington in last season’s Fiesta Bowl. They last met Kentucky in the 1999 Outback Bowl, winning, 26-14. The Wildcats (9-3, 5-3 SEC), coached by Mark Stoops, were 14th in the last CFP rankings after posting their best regular-season record since their 1977 team went 10-1. They are led by junior running back Benny Snell, who rushed for 1,305 yards, and senior linebacker Josh Allen, who is third in the nation with 14 sacks. Franklin said he got word of the Lions’ bowl assignment while on the road recruiting in New Jersey and that he hadn’t watched any tape of Kentucky. He noted that he is familiar with its program, having coached against Stoops in his final season as Vanderbilt’s head coach in 2013. A win in the Citrus Bowl would give the Lions a third consecutive 10-win season, something the program hasn’t done since starting Big Ten competition in 1993. The Nittany Lions will be making their 49th appearance in a bowl game and have a record of 29-17-2. It will be their sixth trip to the Citrus Bowl. They are 2-3 in that bowl but took a 19-17 victory over Louisiana State in the 2010 contest, then known as the Capital One Bowl.